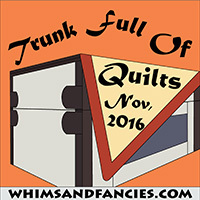 Hello and Welcome to Trunk Full Of Quilts here at Whims And Fancies! I didn't participated last year because I felt I had nothing to show !!! This year I have a hard time choosing My favorites!!! First one is my Butterfly at Sunset in the "serenity series". I feel it is powerful while still being simple. Number 2 is Koi in pond....once again in the serenity series. Your trunk show is beautiful! Oh, I hadn't seen the fox before! He's gorgeous :) I do love seeing your butterfly and fish again, too. Beautiful! And that Little Prince quote is one of my favourites. Did you start out with an ombre fabric for your two serenity quilts? I love the effect of the dark applique on the ombre background. Oh my goodness those are all absolutely gorgeous! 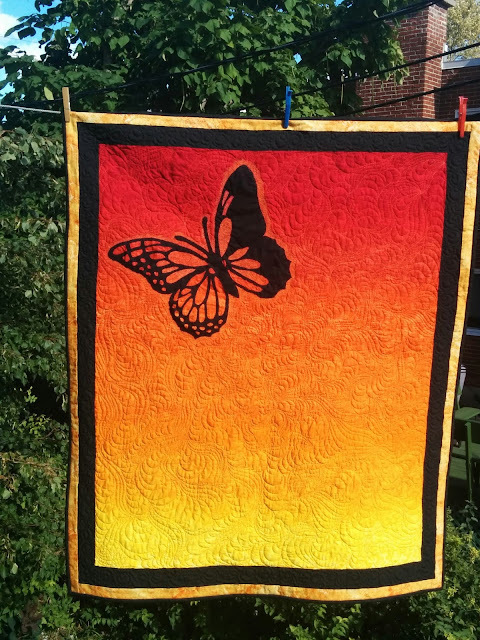 I have always enjoyed all of your beautiful quilts! I agree with you that your quilts are simple yet powerful! Such a unique artist style you have. They are beautiful and so unique!! Thank you so much for linking up on Trunk Full Of Quilts! Love the fox quilt , but the first two are so striking! Gorgeous! That butterfly is too beautiful for words. 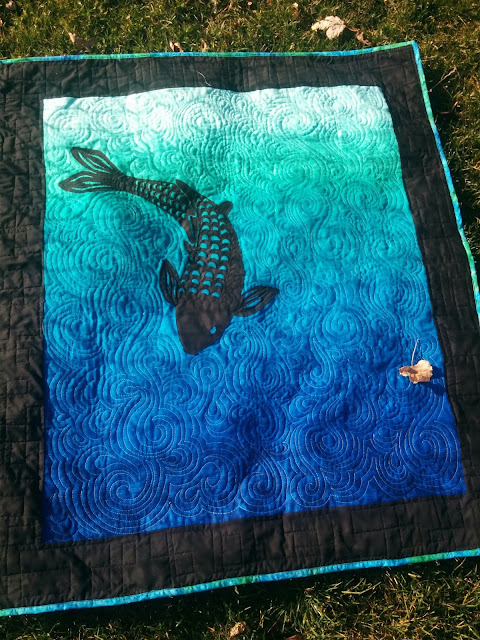 Beautiful and so unique quilts! 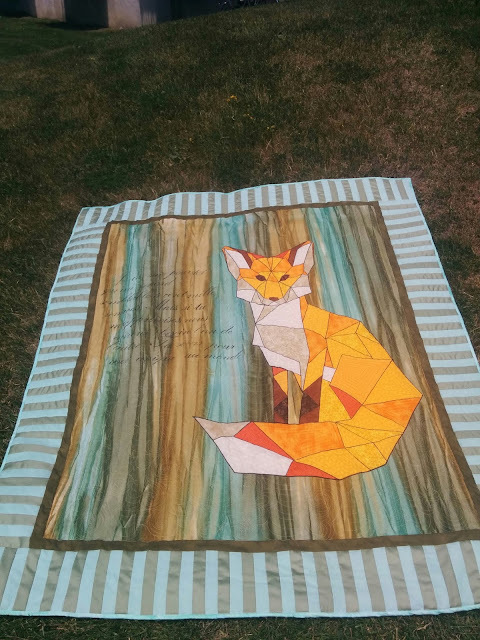 How can I purchase the fox quilt for my very first son's Le Petit Prince nursery. It is so perfect and beautiful! You mean the pattern or the quilt?